Left to right: voice actress Reina Ueda, director Tomochi Kosaka, and character designer Junko Yamanaka. ReLIFE was relatively fresh in my mind when the wonderful news about the opportunity to interview its director, character designer, and one of its voice actors at AnimeNEXT was announced. So it comes as a fitting coincidence that we're posting this one-on-three interview just after the concluding ReLIFE OVAs were launched on Crunchyroll. 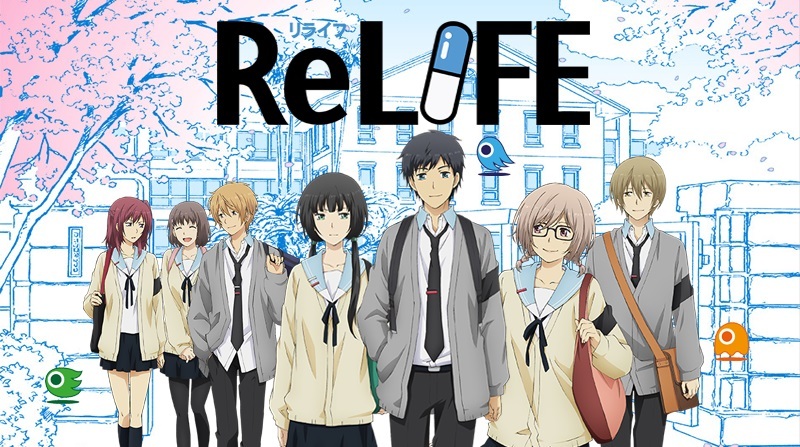 For those who don't know, ReLIFE is an anime about an adult NEET/hikikomori who is offered a second chance at relearning social interaction by taking a pill that changes him back into a teenager under the strict observation of the ReLIFE program. Apologies for not being able to attend the ReLIFE screening. I really wanted to attend but was actually in this same room interviewing other guests. How did the screening go, and what did you think of the reaction? Reina Ueda: Actually what’s really interesting was, when they were doing the screening (they showed part of the anime to the audience), we could tell everyone in the room — the people who created the content and the people who were watching it — was thinking the same things. You can just see that everyone was excited about the scene and was thinking about the same things while the scene was going on. It was really cool to see the reaction from someone who’s watching it as opposed to someone who’s creating it. Also, Ms. Yamanaka was able to do a live drawing during the actual panel itself, and to see the reaction of the people, she was very excited about it. It was good, very good. The first twelve episodes of ReLIFE were released in one shot. What effect did that have on production? Was it an easier schedule, or was it more troublesome? Tomochi Kosaka: It was really hard. Really challenging, actually, because you had to have everything done as opposed to having it done while it’s airing simultaneously. So it was a lot of prep work beforehand. But the original creator of the manga, Yayoiso, she’s, of course, female, and because of that, she wanted more of the employees to be female. Who made the decision for the additional four episodes? ReLIFE is kind of special; it approaches the hikikomori aspect from a more mature tone by focusing on a slightly older character. I was wondering what brought each member of the team to this project and what specifically made you want to work on it. Tomochi Kosaka: In the Japanese industry, it’s a little bit different, where you don’t get to pick and choose the work that you want to do. And so it’s not necessarily like, “I want to work on that, so I’m going to work on that” and you take the job, it’s more a job that is offered to you, and you take it or you don’t. I didn’t read the manga before I accepted the position. So after the offer came to me, I read the manga and thought, “This is really interesting. This is great.” And so that’s kind of how that happened. But the original creator of the manga, Yayoiso, she’s, of course, female, and because of that, she wanted more of the employees to be female. I worked with her before, so I would like to have her in the team as well, and the animators themselves too … like “let’s make the chief animator a female as well.” And that’s how Ms. Yamanaka joined. Ms. Yamanaka, what was your process for developing the character designs. How much did you change the originals? (I’ve not read the manga.) And who did you report to to verify those changes? Junko Yamanaka: In terms of an anime, because anime has movement, there’re little differences between the anime and the manga themselves. Because in manga, because it’s stop-frame, they could use a lot more detail when filling in the art itself. However with anime, you kind of have to shorthand it a little, because you can’t draw so detailed and have movement at the same time. But they tried really, really hard to keep to the original content, the manga itself, and be true to the original. And the person they would go to to check that would be their client, so mostly Yayoiso, the person who drew the manga itself, and then the people who offered the job. Ms. Ueda, you do a great job of making An Onoya feel like she’s hiding something for a large part of the series. I wanted to know if you knew your character’s full story arc? Did you read the manga before you voiced it, and how that influenced your performance. Reina Ueda: I read the original manga well before I received the offer for the work. So I was actually a fan of the series before I got the role. For me, because I did know the story behind Onoya, it was really interesting for me to try to portray a character who’s 27 going back to 17 again. And so knowing the backend of the story made it a lot more interesting for me. But I started out as a fan of the series. When you watch the series and look back on it, it might give you more insight about your anxieties and how you might change your life if you could. It gives you that reflection space, which I think is very important and good for people to watch it at any age. Another question for Miss Yamanaka. You were the character designer for Ninja Girl and Samurai Master . I was wondering if it’s more difficult adapting from a gag manga than a longer running manga such as Kamisama Kiss . Junko Yamanaka: In a kind of obvious way, because gag manga is shorter, the amount of cuts that they do is about 1/5 of a normal, 30-minute series. So 1) it’s easier, because there’s fewer things to do, but 2) it’s also easier because you can keep track of things easier — like everything is in one small portion. So it’s only 1/5 of the job, but at the same time, they’re both difficult to do. From each of your perspectives, why should people watch ReLIFE ? 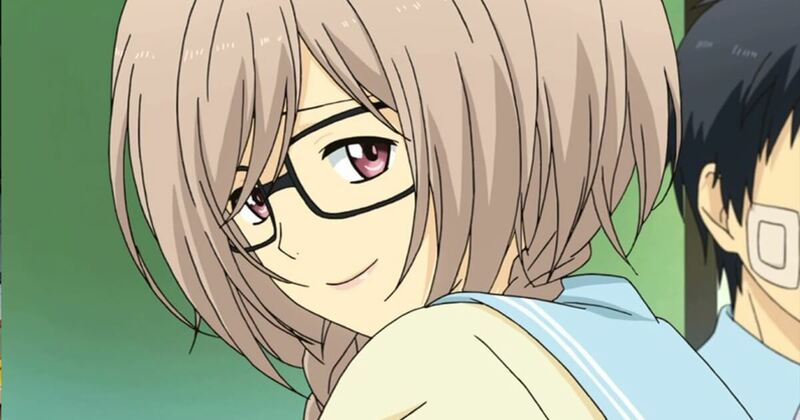 Reina Ueda: ReLIFE is relatable for a vast age range. So it’s not necessarily directed towards high schoolers or older people; everyone has something they can relate to in this show. So there’s things that high schoolers would pay more attention to and think about, and things that maybe 27-year-olds who have started working. The things that go through their head mentally are different. However, in ReLIFE, they’re both there. They both exist. So there’s something relatable for anyone to watch. Tomochi Kosaka: I largely agree with what Ms. Ueda said. Of course if you have no anxieties in your life, you can watch it and have fun with it, because it is a funny series. But if you do have an anxiety in your life or you have something you’re worried about, then you can relate to the characters, because the characters probably have something similar. And it might not be something very obvious, but when you watch the series and look back on it, it might give you more insight about your anxieties and how you might change your life if you could. It gives you that reflection space, which I think is very important and good for people to watch it at any age. Junko Yamanaka: I’m actually more curious, because this NEET category … I don’t want to say it’s cultural, but it’s a little bit cultural. I’m wondering if NEET life also exists in America or overseas, and whether it would still be relatable to a foreign audience, because it’s very cultural right now … a little bit of a cultural problem. So I’m more curious about when people watch this if they’re able to relate to his character. 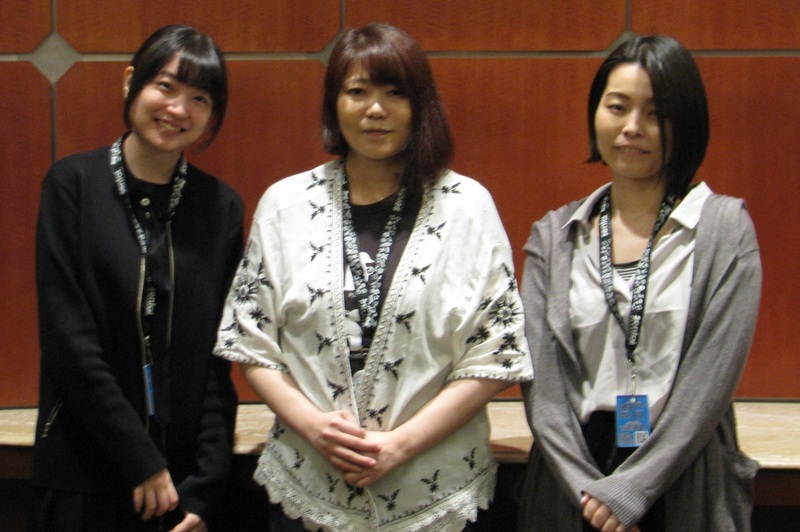 Thank you to Ms. Ueda, Ms. Kosaka, Ms. Yamanaka, TMS Entertainment, and AnimeNEXT staff for the interview! Read the rest of our AnimeNEXT 2017 coverage.